Rogue One is on the minds of most people right now. It is a raw and graphic film of human struggle to fight for freedom and peace. Darth Vader represents the dark side of the force and Chirrut Îmwe represents the faded light side. His role as a blind man with borderline supernatural powers is not as prominent as characters such as Yoda in Empire Strikes Back. He is more of an aspiring Jedi and even has his own mantra he speaks throughout the film. Where did Buddhism work its way into the top grossing film series of all time? George Lucas who studied eastern religion in college was inspired by a man named Serkong Rinpoche. Serkong (debate partner to the Dalai Lama) met with George as the story goes and used the teachings he learned from Serkong and his studies as a basis for the spiritual aspects of the Force. 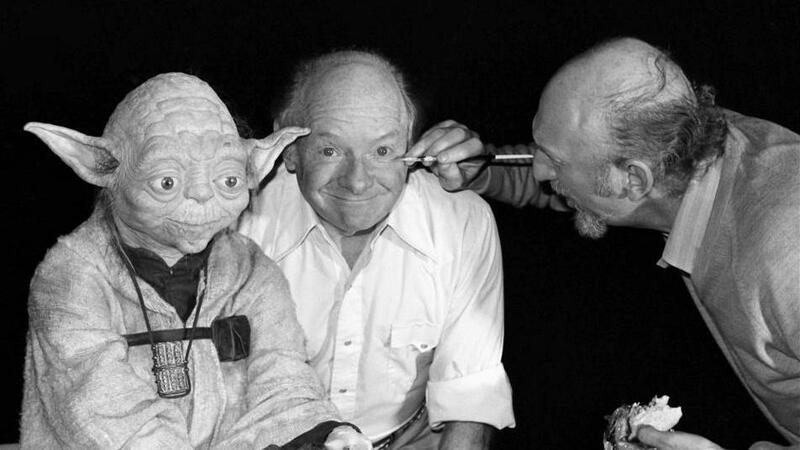 It is debatable if artist Stuart Freeborn (in the middle of this photo) also modeled Yoda after Serkong, many in the effects industry say Stuart used his own likeness. But what is undeniable is Buddhism has had a major indirect effect on movie goers. You can watch the teachings of Serkong Rinpoche in the above video. Many of the teachings will be familiar both to Star Wars fans as well as Buddhists who have heard these teachings many times.